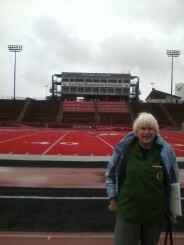 QB Eagle to a Duck: How do EWU Fans Feel? 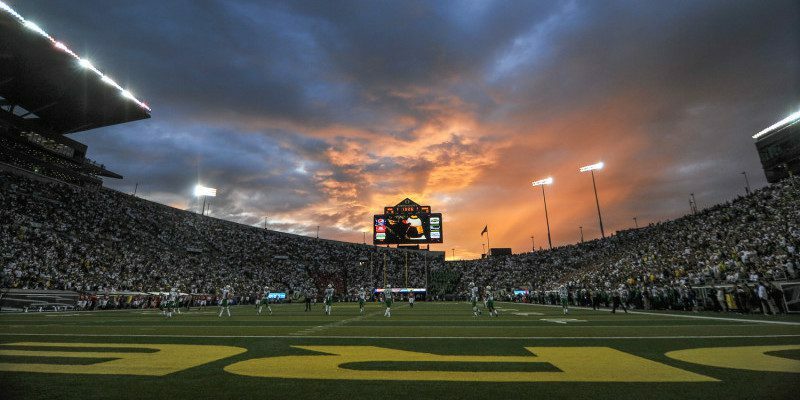 Vernon Adams, Jr.’s transferring to Oregon has generated a tremendous reaction among Oregon fans, but it has to be difficult for the fans of Eastern Washington University. Or does it? 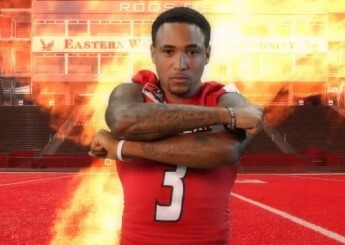 Vernon Adams’s stats were burning at Eastern Washington University. While on a trip through Eastern Washington for other purposes, I decided to see how the residents felt about Vernon Adams, Jr. I made a survey form asking for general information about the responder, then had a choice of 5 options to choose from: “On a scale of 1-5, how do you feel about having Vernon Adams, Jr. transfer from Eastern Washington University to play football at the University of Oregon, this year? 1-I hate it! He shouldn’t have been allowed to play anywhere but EWU. 2-I don’t like it, but I guess the rules allow him to do it. 3-I don’t have an opinion – either for or against. 4- I’ll miss having him at EWU, but understand why he’s transferring. There was also a place for positive comments at the bottom. I first spoke with people in Ritzville about my survey. One man predicted that I’d find a lot of angry people in Cheney. I was also told that there are a “lot of Oregon Duck fans in Ritzville.” That doesn’t surprise me — we’re everywhere! Since I couldn’t talk to people on the rainy street, I went to Baldy’s, the student cafeteria where I asked several people to answer my survey. Three of them chose #2, but one of those wrote, “Good luck, Bud” at the bottom. Vernon Adams looks into his future. I spoke with those two students about the similarities between Marcus Mariota’s situation and Vernon’s. Both quarterbacks started as redshirt freshmen and gave three solid years of performance to their respective schools. After graduating, they had/will have one year of eligibility left. I’m going to miss Marcus, but I feel it’s time for him to “get on with his life.” They agreed they feel the same way about Vernon. Right now, Vernon is a “lone duck” working out by himself in Cheney. But June will come and he’ll be able to take his delayed migration south to be part of the team. Eagles don’t fly in formations, like ducks do. I think Vernon’s flying to Eugene will be the beginning of him leading a V- formation for his new flock. He has certainly soared as an eagle, let’s hope he can do the same as a duck. We certainly do love our Ducks! We’ll just have to wait until September 5th, when the two schools face off for their first game of the season, to see if this is a good move for Vernon. It’s also the first time the teams have played each other. (How ironic is that?) I like all of our U of O quarterbacks, but I’ve got to say — I’m pulling for you, Vernon!